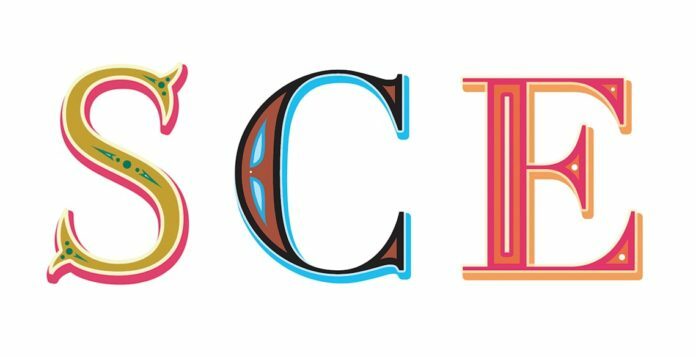 Taking inspiration from retro and circus-style lettering, these decorative drop caps would make beautiful additions to layouts or as stand-alone designs. 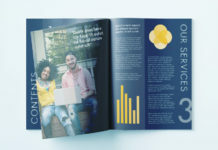 While they may look elaborate, these text effects don’t take long to put together using Adobe InDesign. 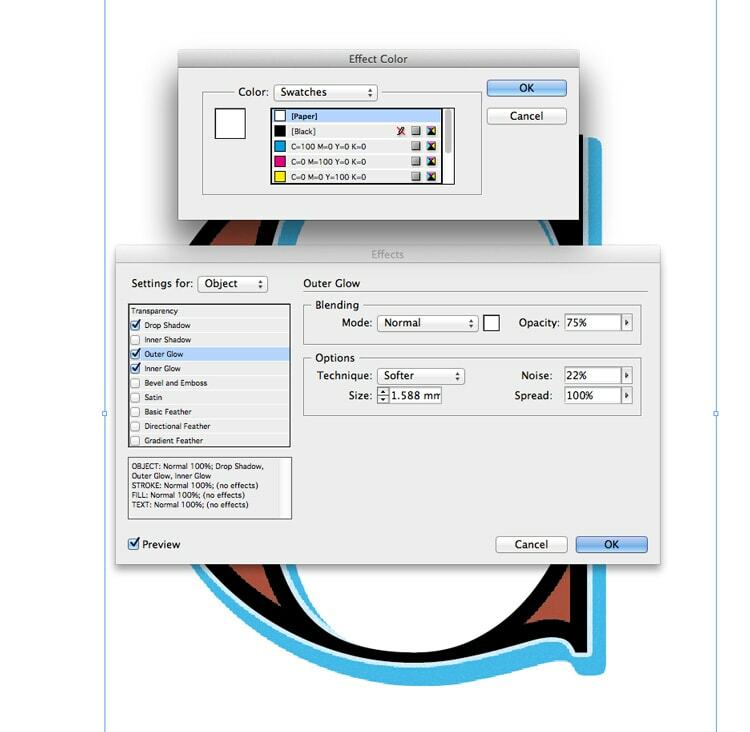 This method also keeps the text editable, so you can quickly and easily change the letter while preserving colors and effects. 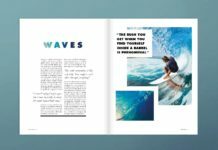 All you need is access to Adobe InDesign and a font of your choice. 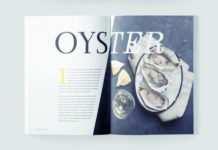 Serif fonts with a more traditional style tend to work best with this vintage-inspired look. 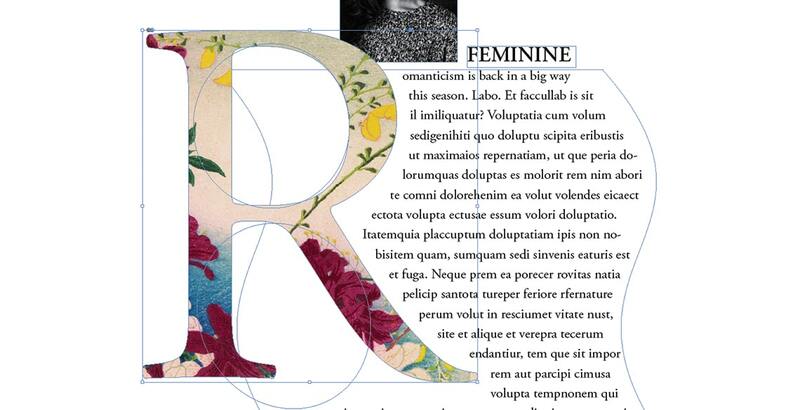 For the lettering designs pictured here, I’ve used Didot (Bold) and Mr Darcy (Regular). 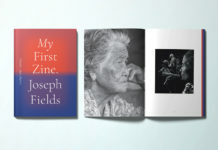 Here’s what we’ll be creating*. 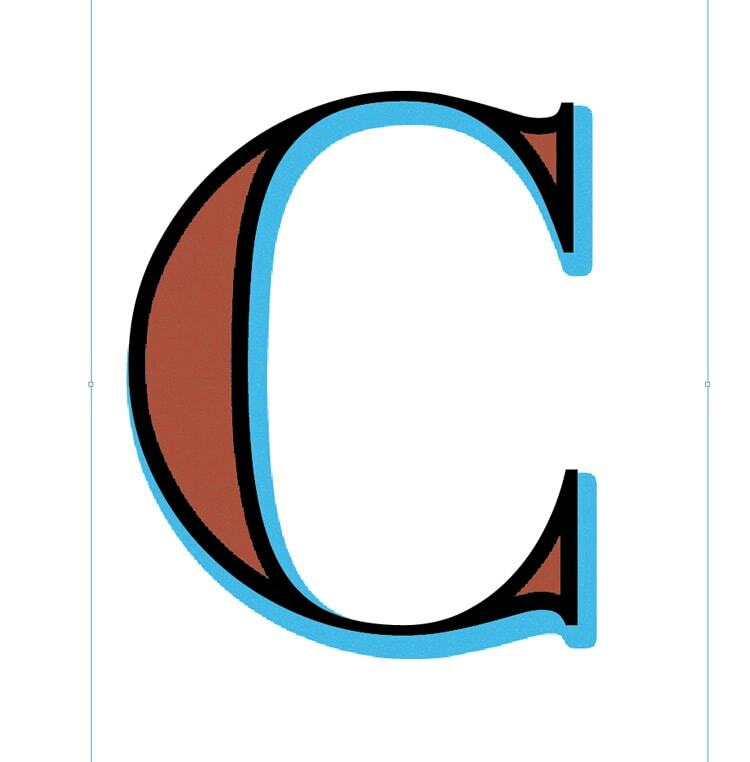 *You can adapt the design to a letter of your choice; simply follow the same steps below, tweaking details to suit your letter choice. 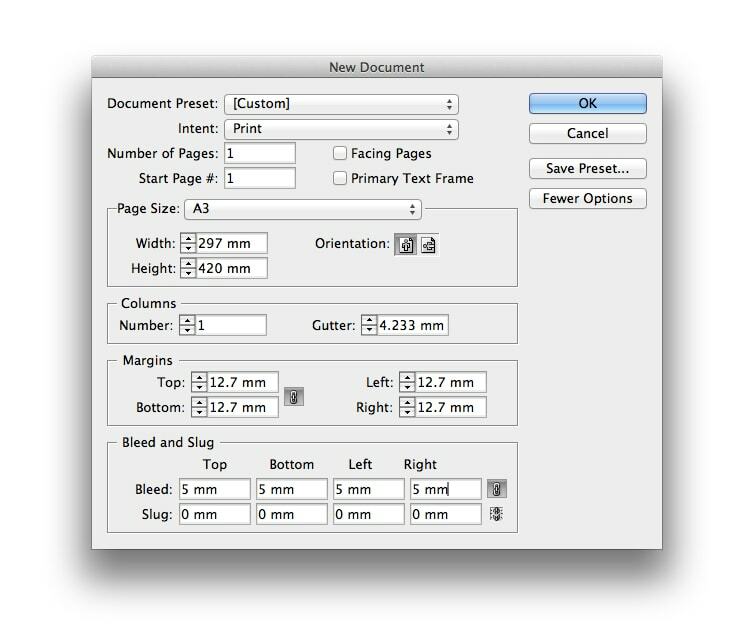 Open up InDesign and go to File > New > Document. 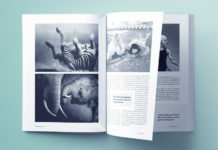 Create a new document to any size you prefer. Here, I’ll be working on an A3 single page. Click OK to create your document. 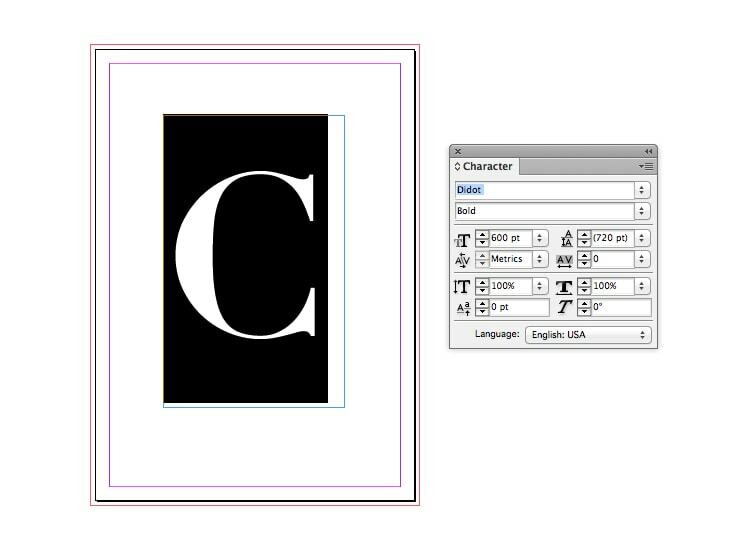 Begin by using the Type Tool (T) to create a large text frame in the center of the page. 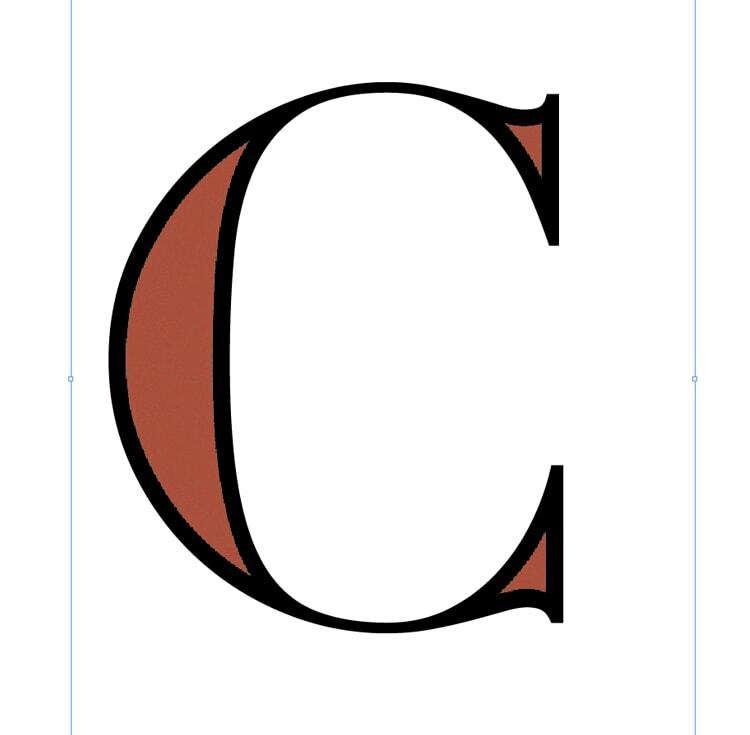 Type in your letter, here ‘C’, and set the Font to your chosen style (here, Didot Bold) from either the Controls panel running along the top of the workspace or the Character panel (Window > Type & Tables > Character). Make sure the Font Size is generous, here I’ve increased it to 600 pt*. 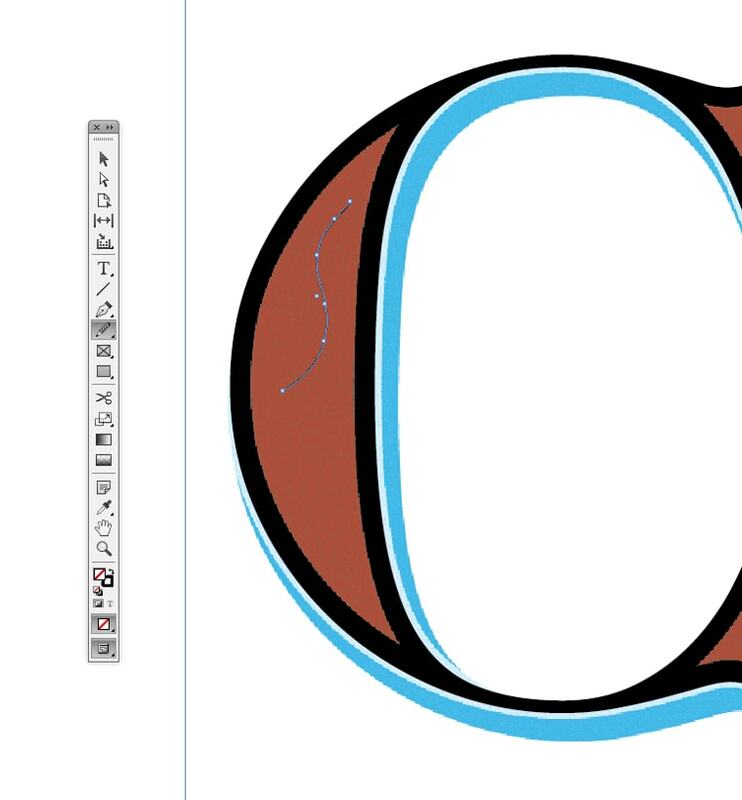 *If you want to incorporate your letter into another design, you can later vectorize your letter by going to Type > Create Outlines, and scale the whole design more easily. 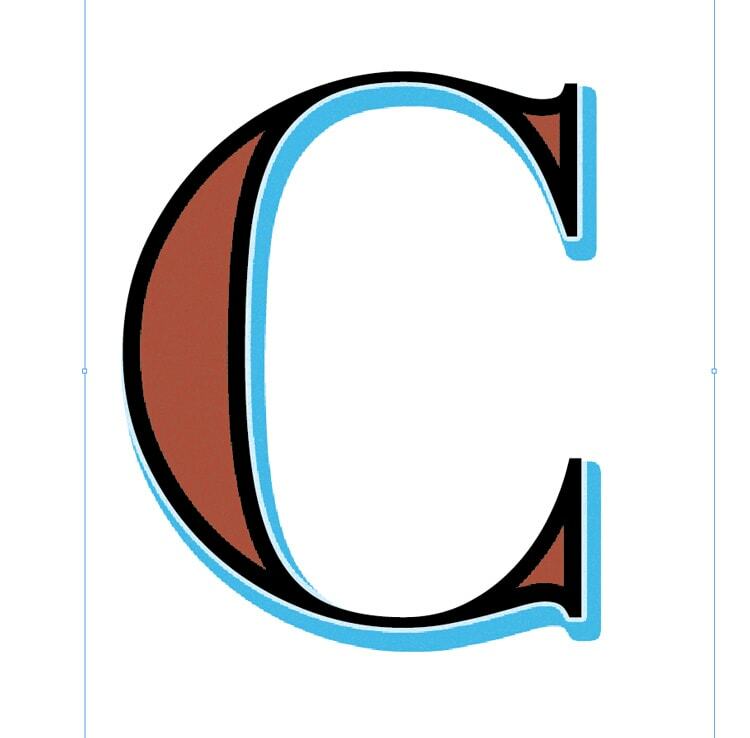 You’ll need a palette of four color swatches to create your decorative letter. For this particular design, I’m going to use four of the default colors already provided in the Swatches panel. 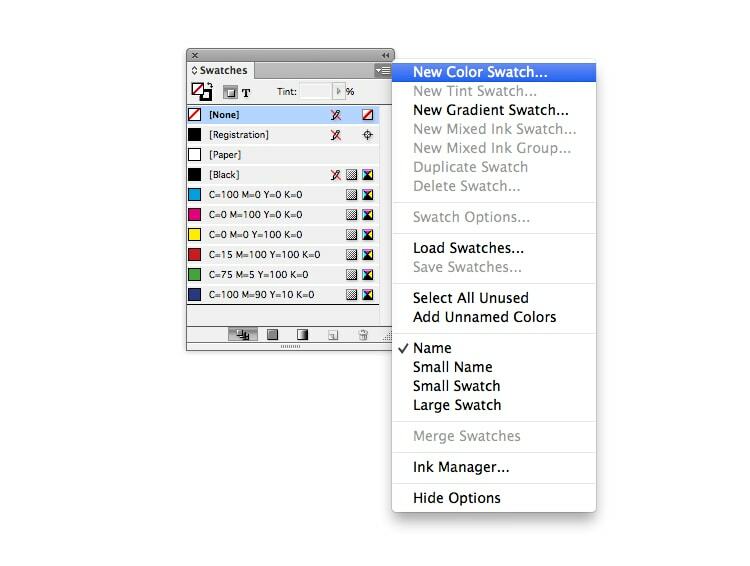 But if you’d like to use different colors for your design, you can create new swatches by selecting New Color Swatch from the Swatches panel (Window > Color > Swatches). 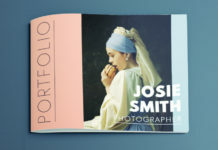 Select the letter by highlighting it with your Type Tool cursor, or use the Selection Tool (V, Escape) to select the text frame. Head up to Object > Effects Inner Glow. This will add an inner color to your letter. Click on the colored square to the right of the mode menu at the top of the window that opens. From here, you can choose one of your color swatches to apply to the glow. Here I’ve gone for red. Back in the Effects window, under the Options section below, set the Technique to Precise, Source to Center, Choke to 100% and Noise to 20%. 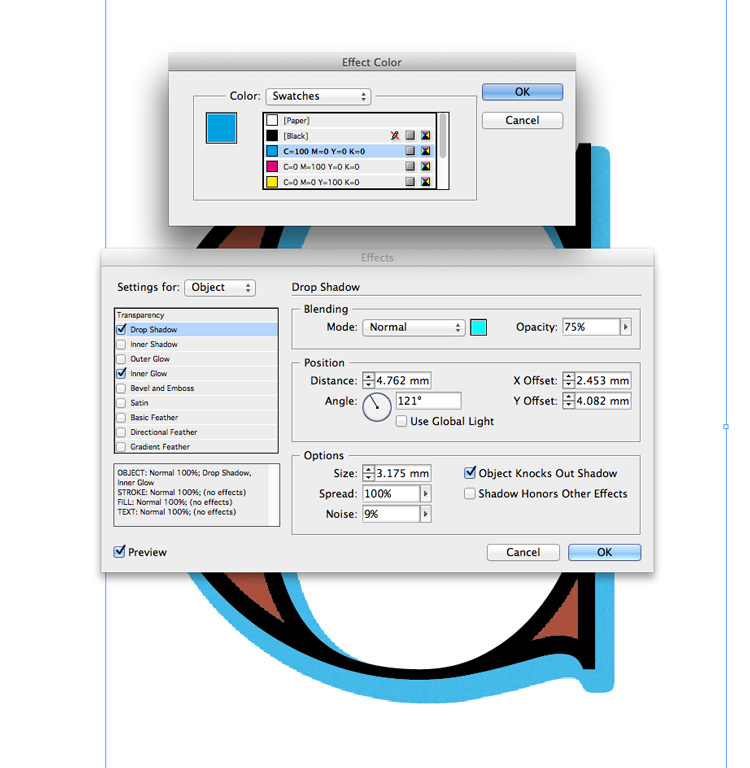 You can tweak the Size of the glow depending on the size of your text. Click on the Drop Shadow option at the top of the Effects window’s left-hand menu. 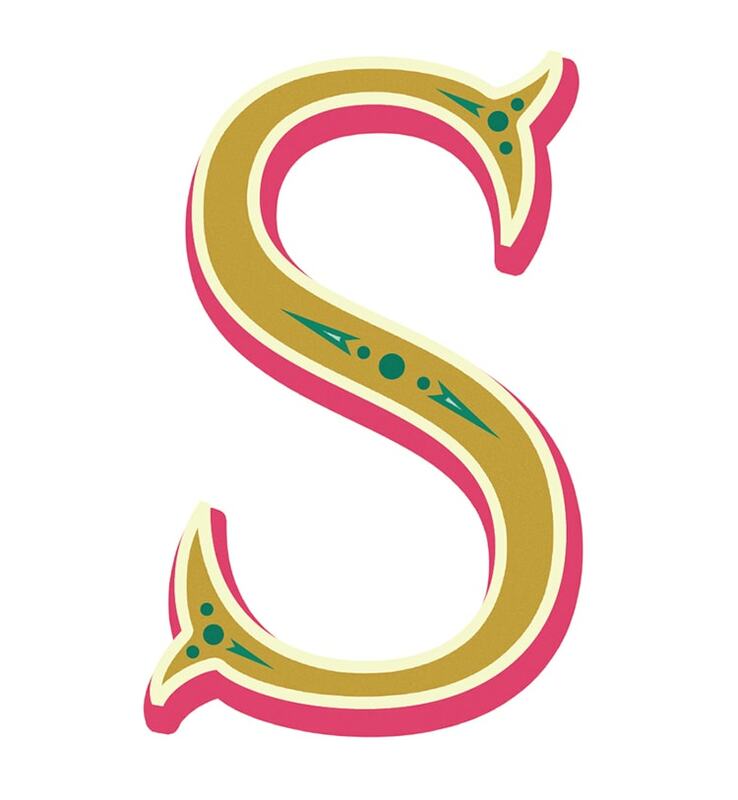 This will add a colored shadow to the outside of your letter. 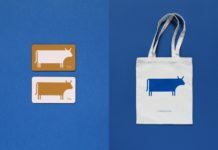 Choose a contrasting color for the Effect Color. Here I’ve gone for cyan. Tweak the Distance, Angle and Size until you’re happy with the position of the shadow. Increase the Spread to 100% and add about 10% Noise. Click on Outer Glow in the Effects window menu. This will add a highlight shadow to the outside of your letter. Adjust the Mode to Normal, and you can either keep the Effect Color set to the default [Paper] (white) swatch, or choose a different contrasting swatch. Add about 20% Noise and increase the Spread to 100%, before clicking OK to exit the window. 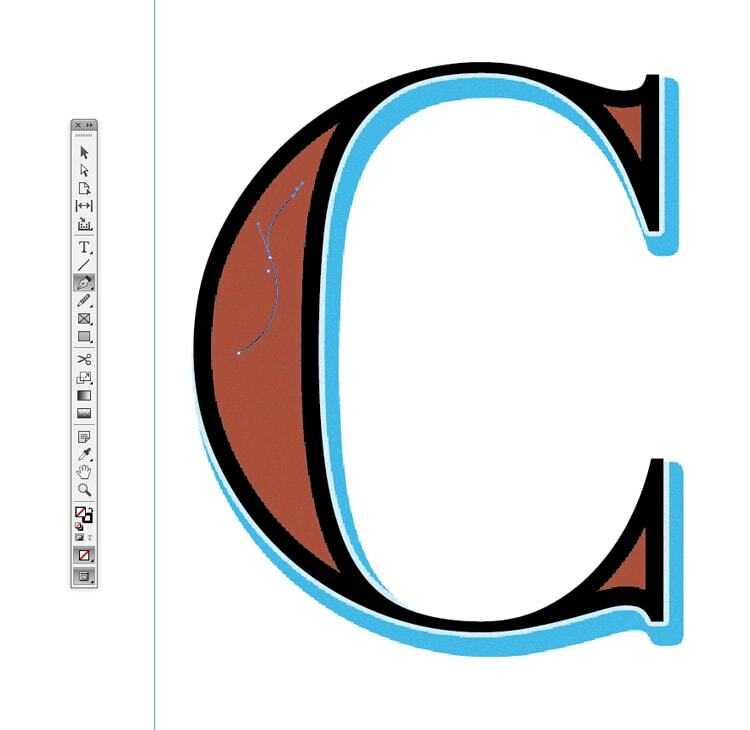 You can add extra decorative elements to your letter by using the drawing tools in InDesign’s Tools panel, which is docked to the left-hand side of the workspace. 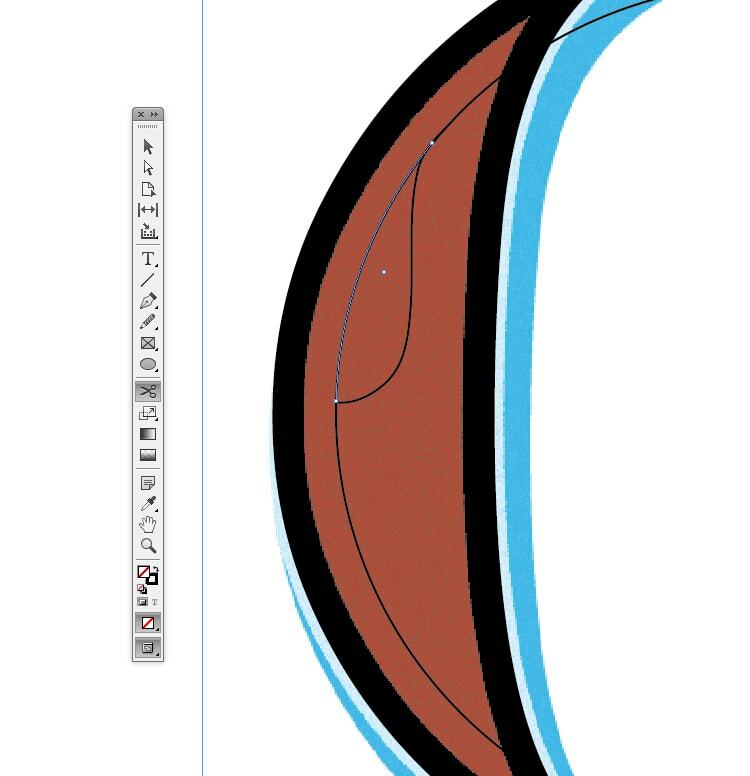 Use the Pen Tool (P) to create curved elements, holding down your cursor to create curved lines, and allowing the shape of the letter to guide the design. 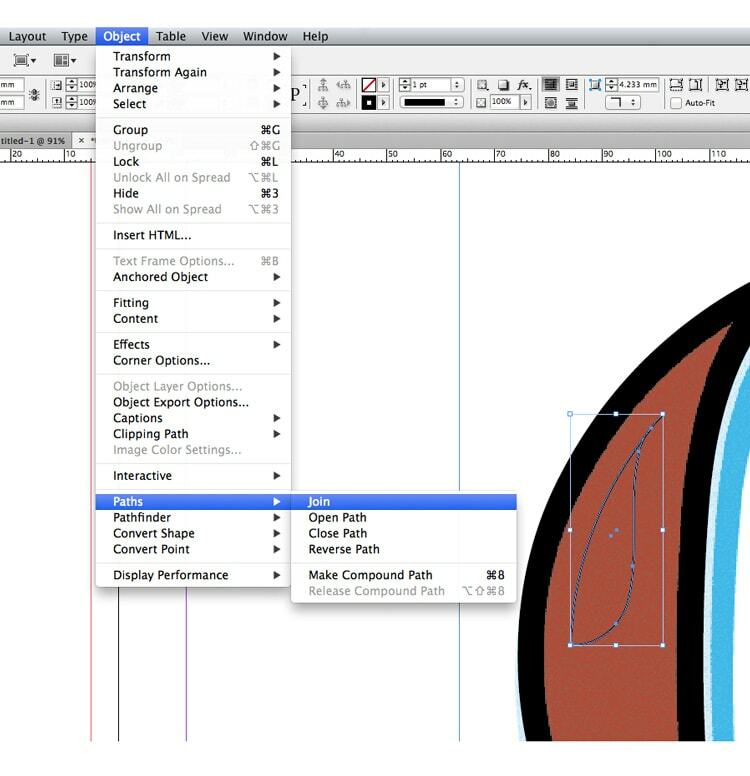 To tweak the shape of your drawing, use the Smooth Tool to smooth out kinks, and the Direct Selection Tool (A) to directly select anchor points and adjust their position. You can combine shapes to create decorative elements. 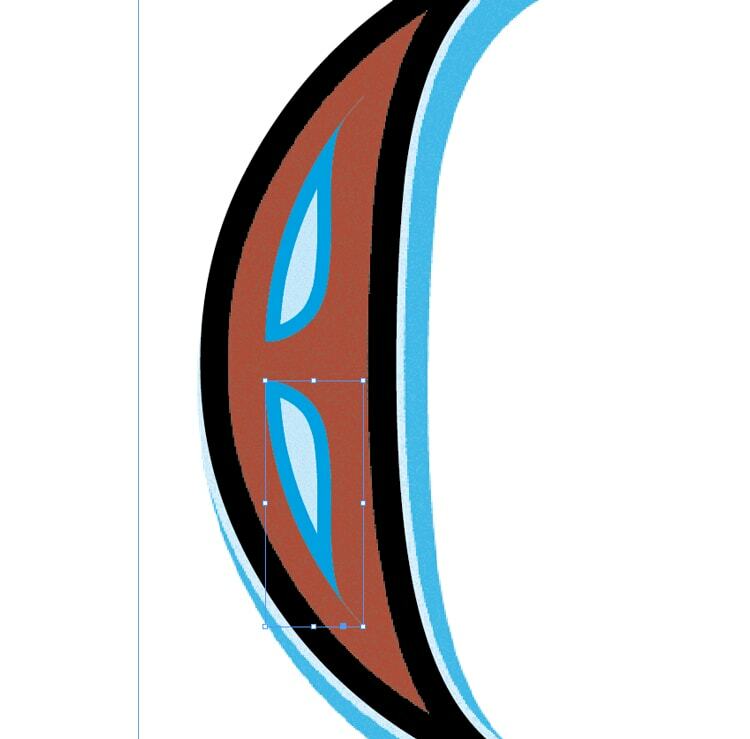 Here, I’ve used the Ellipse Tool (L) to draw a circle over the top of the letter, meeting the curved line I’ve already created, creating a simple tear shape where the two shapes meet. 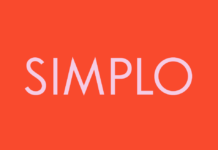 …and go to Object > Paths > Join to unite shapes. 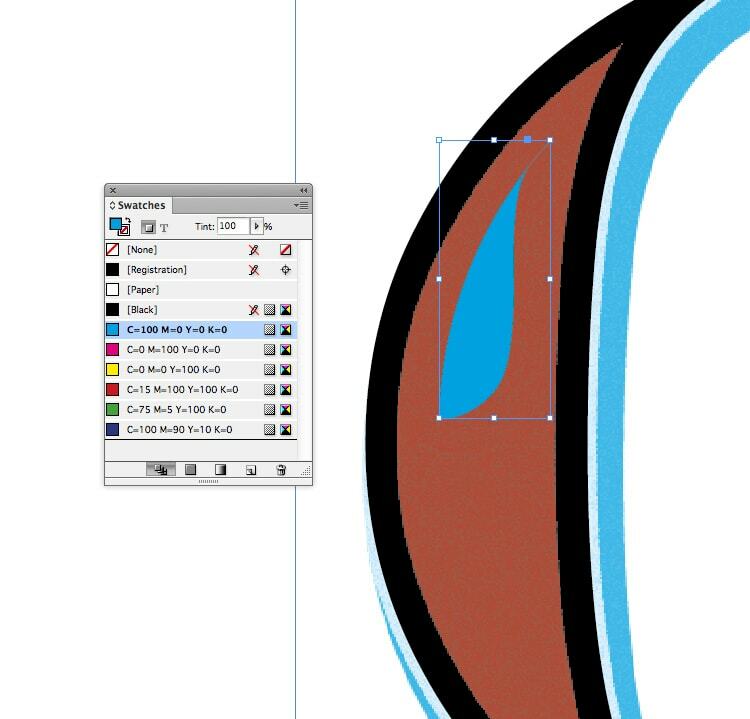 Give your shape a contrasting Fill Color (here, cyan) from the Swatches panel. 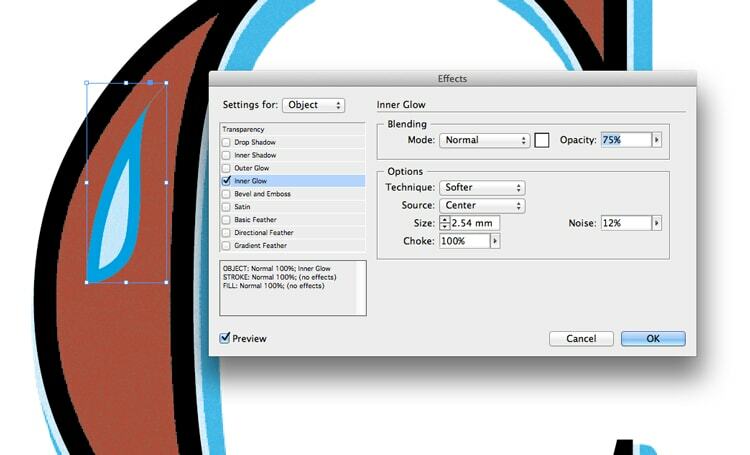 Go to Object > Effects > Inner Glow to add an inner color to the shape. As before, set the Choke to 100%, and Source to Center. Tweak the other options until you’re happy with the effect. 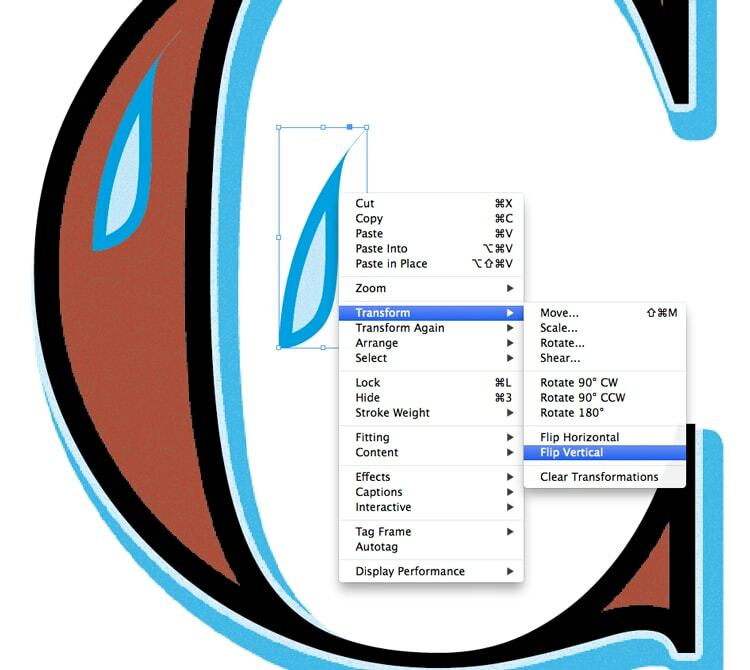 You can Edit > Copy, Edit > Paste shapes and flip or rotate them by Right-Clicking > Transform. 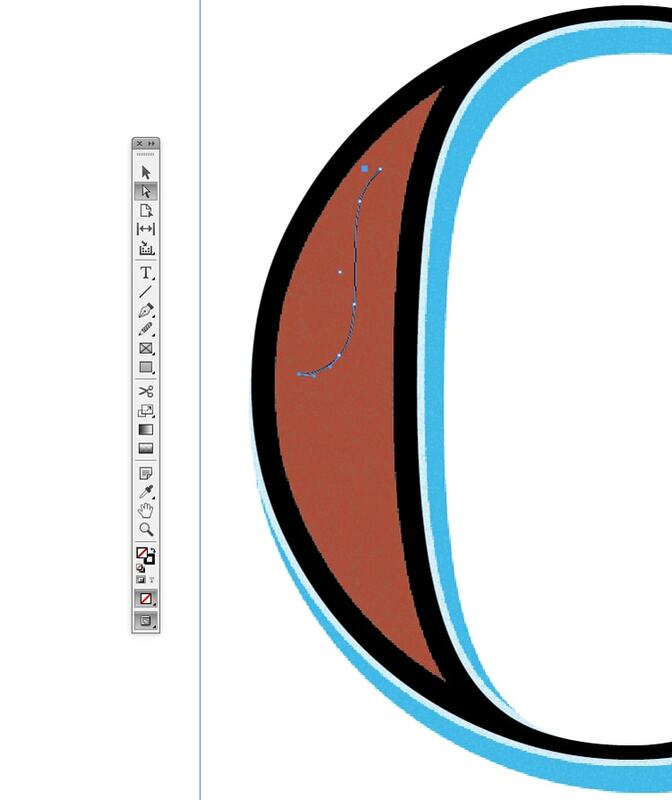 You can also use the Ellipse Tool (L) to create quick and easy polka dot decorations for your design. Your decorative letter is finished! Great job! You can easily change the letter and preserve the colors and effects by typing in a different letter into the text frame. All you have to do is adjust the decorative elements on top to complete the effect. 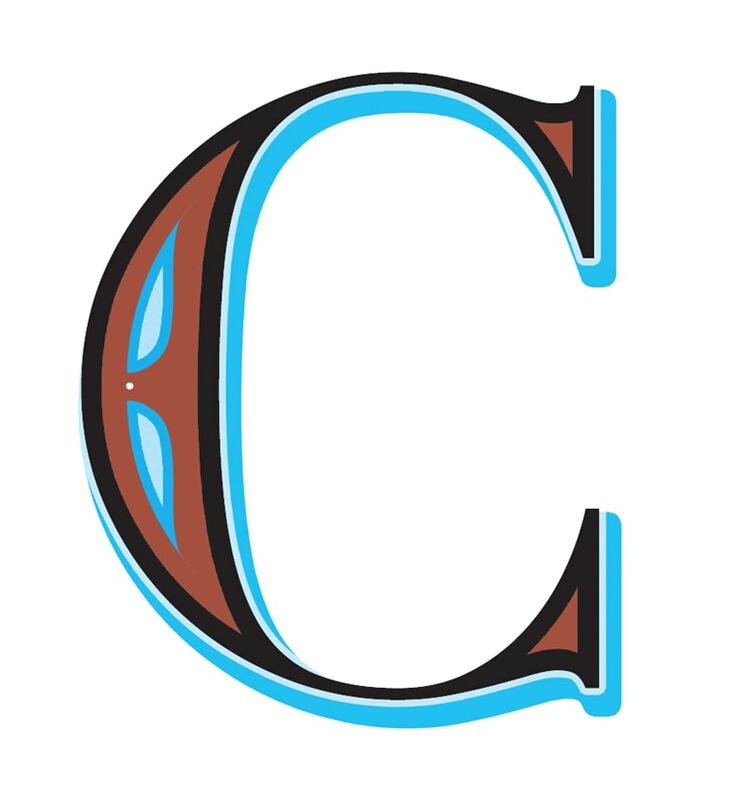 Here are a few other letter designs I created using the same technique. This ‘S’ uses a bold color combination of cream, mustard, pink and green. The Font used is Mr Darcy Regular. 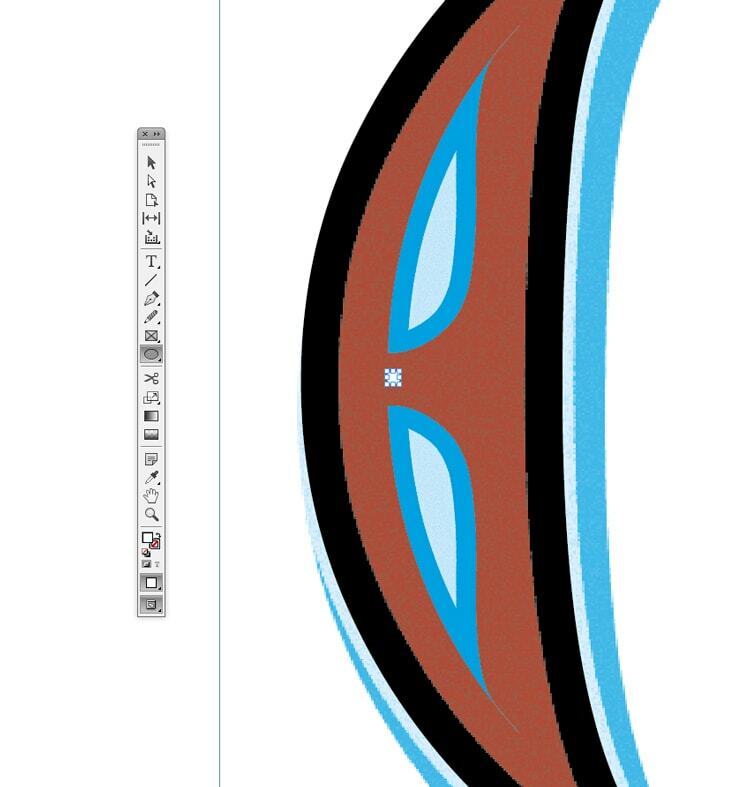 I’ve used the Pen Tool (P) to create arrow embellishments, and the Ellipse Tool (L) to create a polka dot effect. 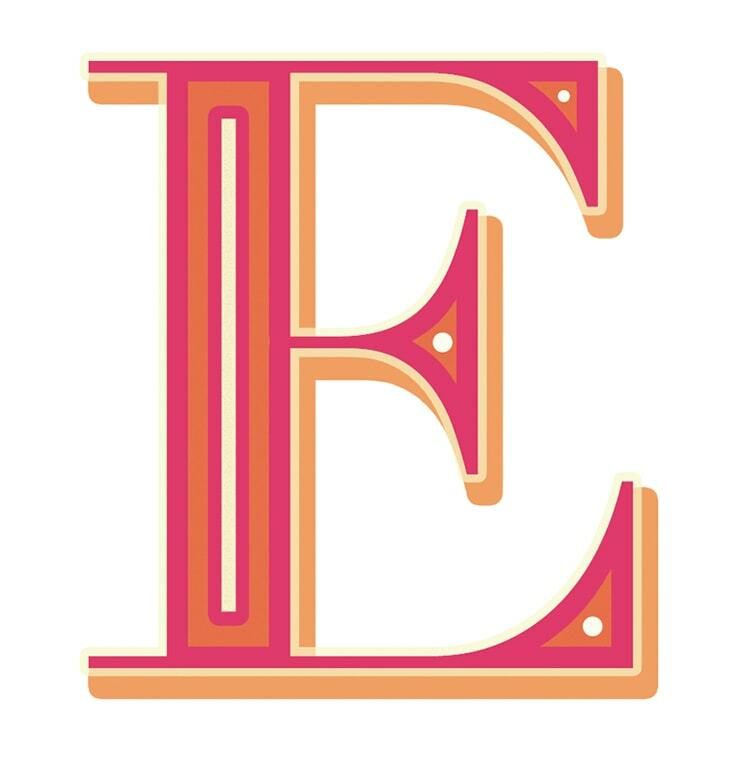 This ‘E’ is set in Didot, with a color palette of cream, orange, pink and white. 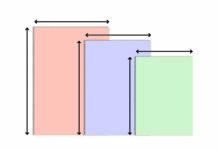 I created the inner stripe on the design using the Rectangle Tool (M). 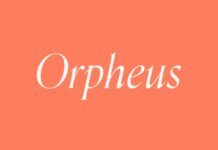 Why not enhance your layout with a beautiful drop cap? 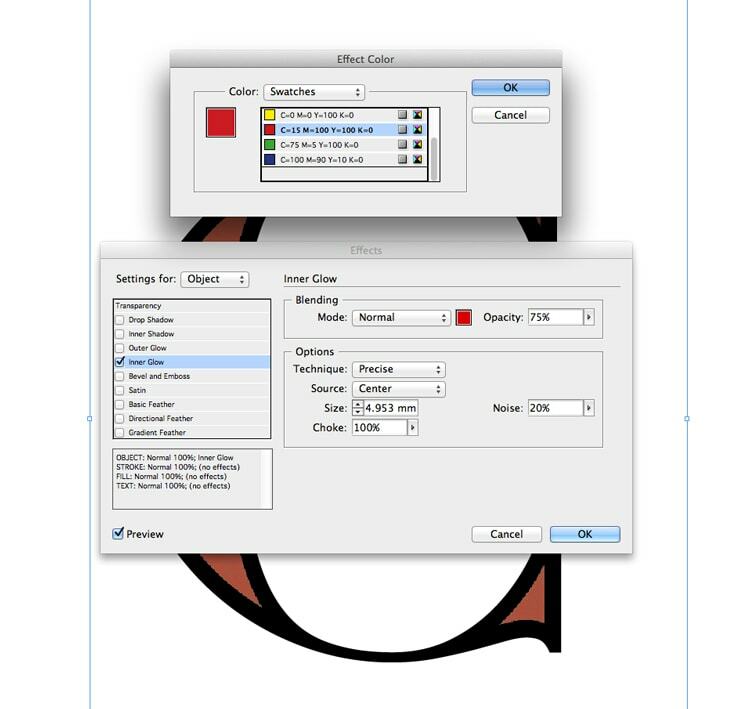 Learn how to create both simple drop caps & decorative drop caps in InDesign! 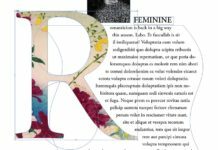 Looking for more typography tips? 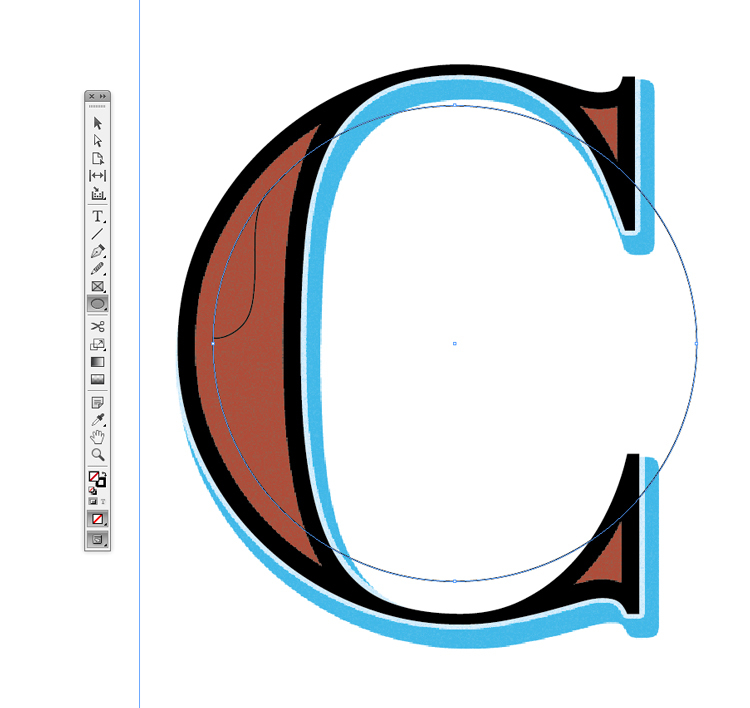 These quick and simple tutorials will turn you into a typography pro in no time.